Complex Says: The Air Jordan Force 9 is a good look. 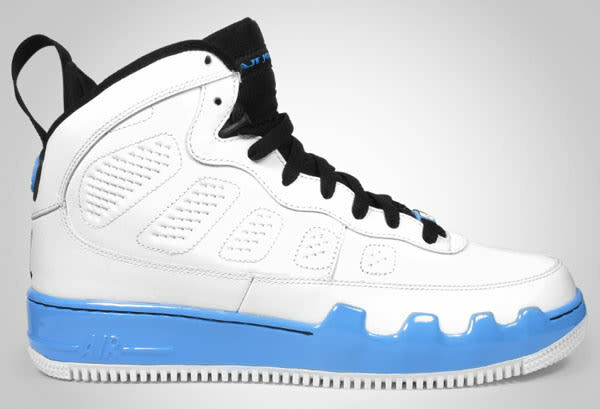 The model uses the Air Jordan IX upper with the IX’s midsole blending in with the Air Force 1's. J.R. Smith even wore them in a couple NBA games. This shoe doesn’t stray too far from the original sneaker, which dropped after Mike’s departure from the NBA to the Birmingham Barons.